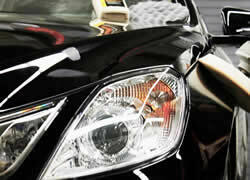 Milton Car Detailing, Car Wash, Windshield repair and replacement, Rusth Check Service. Over the last 25 years, Scott, owner of Scotts Car Care Inc. has developed an exclusive detailing system that has serviced thousands of satisfied Milton Area customers as well as major local dealerships. As an experienced detailer, I will tell you every three to six months is a reasonable time span between a full polish and wax. Weekly washing and monthly polishing make for optimal waxing conditions with minimal effort expanded. Protecting your new car investment is our specialty. We have over 25 years of experience testing and retesting the quality and durability of all the products we recommend. We offer the strongest laboratory tested sun, salt and pollution resistant paint protection available! . Let us help you sell your car. Our pre-sale detailing will increase the marketability and the value of your vehicle. We offer an affordable approach to preparing your vehicle for sale and increase your profit. RUST CHECK WITH FULL WARRANTY. Protect your investment with Canada's #1 rust control system. Without additional protection, it is only a matter of time before rust will form and begin to spread. 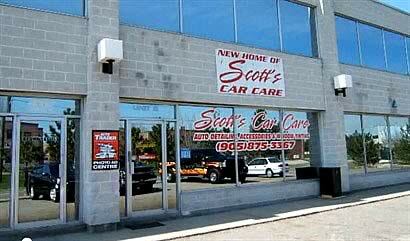 At Scott's Car Care, we work hard to deliver to our customers the best product, service and warranty in the industry. Expertise in car detailing. Best in Milton area. Dust, dirt, exhaust, and odors are absorbed by your car's interior surfaces. Eventually, that new car look and smell is gone. Visible soiling and discoloration accumulates on fabric, vinyl, and leather surfaces. To preserve and protect your car's interior from premature wear and tear, proper interior maintenance and protective conditioning treatments are recommended on annual basis. Environmental pollution, corrosion, and the sun's ultraviolet rays attack your car's finish on a daily basis. 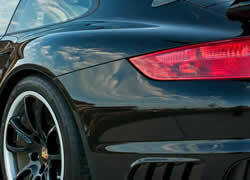 Rust and metallic particles penetrate your car's surface leaving the finish feeling rough and gritty. This fallout is especially visible on white or light colored vehicles. Swirls and surface scratches visible on dark colored vehicles are the result of improper washing, Rubbing, and abrasive polishing. Without a durable protective coating, the sun's ultraviolet rays and oxidation will cause your paint to look faded and chalky. Our exclusive Paint Renewal System™ will restore that new car look. This is where our exterior detailing techniques come in play. Over the past decade, car manufacturers have developed different paint systems to improve durability. In the 1980's domestic cars had conventional finishes, that is, a pigmented enamel coat on top of the primer. 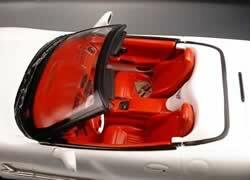 Today, 96% of all new cars have a base coat/clear coat finish, which is comprised of a thin color coat covered by a clear acrylic or enamel urethane coat. This clear coat finish is only 2 mils thick—about the thickness of an ordinary plastic trash bag. 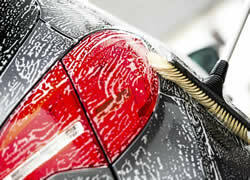 Daily wear and tear on a car's clear coat finish may leave it with swirl marks or signs of oxidation. To the eye, it means a dull and hazy looking appearance. This is sometimes referred to as clear coat haze. Your car's finish provides more than beauty. Over time, a car's paint erodes due to the effects of sunlight, UV radiation, acid rain, salt, dirt, and air pollution. Wax your car every six months with a quality wax or polish. More frequent waxes are needed if your car is red, black or white because these colors are more susceptible to acid rain and UV rays. We’ve all been told that a good wax job on your vehicle will protect the finish. Regular waxing will protect your automotive investment over time. Many car owners equate this regular waxing process to spending hours in the garage sweating over the car applying every ounce of elbow grease available. Not pleasant. The use of modern polishers and high speed orbitals has since eased the intensive labor of hand waxing the entire vehicle. It still requires lots of work to take faded oxidized paint and return the appearance to clean and shiny. The key of course is to be consistent with regular washing and waxing maintenance as to significantly reduce the physical labor required for each cleaning. What needs to be understood is the fact that wax on our vehicle does not last too long. In fact, several types of waxes with different levels of protection and wear are available (Carnuba, Polymer, Bayberry, Wool Wax, etc). Additionally, synthetic waxes and associative compounds are available and growing in abundance as well. Chemists have, and will continue to attempt to produce the highest quality and longest lasting waxes for our car, truck, SUV, boat and RV needs. Keep	your seats, dashboard, panels, carpets and floor mats sparklingly new with our state of the art car interior cleaning treatment. Other people may admire the outside your vehicle, but you see the inside every time you drive. Depending on how you use your vehicle, the interior may need even more TLC than the paint! This guide will take you through the basics of interior care. After all, it’s what’s on the inside that counts! The interior of your car is a relatively small space. Small messes have a huge impact! Keep your interior looking great with weekly quick-cleanings. A little time spent cleaning each weekend will keep your monthly super clean-up from taking up your whole Saturday! Is your auto leather cracking? Do you have stains in your carpet and upholstery? Do you have a hard time cleaning and restoring shine to your plastic and vinyl? These are the most obvious areas that become worn overtime. Unfortunately, these areas are scrutinized when you trade or sell your car or truck and decrease the value. 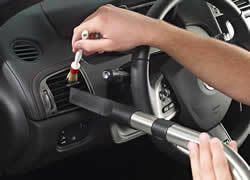 Preventive interior car care can eliminate and minimize the aging of your cars interior. Whether your car is new or used, it is essential that you use the right interior car care products for the job. LOOK SHARP Choose from an array of optically clear and tinted films and several levels of protection to get just the look and sun protection you desire. From basic and high- performance dyed films to metal combinations and top-performing all-metal films, SUN-GARD will fit your style just right and dramatically enhance the appearance of any vehicle. SUN-GARD Automotive Film lets you burn up the road, while keeping your car's interior cool and comfortable. The film rejects a full 99% of the sun's ultraviolet rays and repels heat - so you keep your cool... and all the while your car looks hotter than ever. Reduce Heat & Glare. Stop heat and glare from intruding into your vehicle and enjoy a more comfortable, safer drive. Reduce sun damage to your car's interior and increase your skin protection from the sun's dangerous rays. Nothing is worse than dangerous glare. SUN-GARD AUTOMOTIVE FILM reduces glare and gives you a clearer, more comfortable view of the road ahead. Also, in the event of an accident, SUN-GARD's sturdy construction can help hold shattered glass in place and reduce injuries from flying glass. Learn more about SUN-GARD Automotive Film. To learn about which of our automotive films might be right for you, click here. © 2016 Scott's Care Care and Rustcheck Centre. Prepared by QPrints.